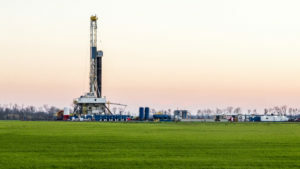 In the last twenty years, hydraulic fracking has transformed energy production across the United States and has made America the world’s largest producer of natural gas. Now a presence in 32 states, fracking also has registered thousands of environmental and health complaints, making it as controversial as it is transformative. How can people and communities understand what is going on a mile beneath their feet, with so many effects above ground? Joining us in Episode 12 is Sara Wylie, who is an assistant professor of Sociology and Anthropology, as well as Health Sciences, as part of Northeastern’s Social Science and Environmental Health Research Institute. Her new book, just published, is entitled Fractivism: Corporate Bodies and Chemical Bonds explores the effects of fracking above and below the ground.